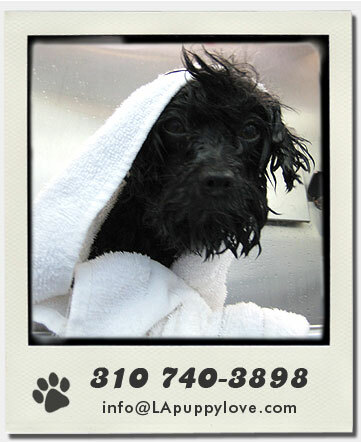 a full service mobile dog grooming company serving the Los Angeles community. Our commitment to a caring, stress-free, convenient experience has made us the preferred choice of today’s busy individuals. You can take comfort in knowing that your pet is enjoying a relaxing grooming spa, free of cages, separation anxiety and one-on-one attention. Your pup will leave our state-of-the-art, mobile facility feeling happy, healthy, pampered, and beautifully groomed. Bel Air, Beverly Hills, Brentwood, Calabasas, Encino, Hollywood, Los Feliz, Malibu, Pacific Palisade, Santa Monica, Sherman Oaks, Silver Lake, Studio City, Tarzana, West Hollywood, West L.A.